My research interests are situated within the field of medical sociology. Specifically, I study medical professionals, adapting historical and qualitative research methods to explore research questions related to medical knowledge and power. Topics of interest include: the emergence of epistemic cultures and the evolution of medical concepts, the strategies by which actors advocate for knowledge claims; the role of organizations in legitimating certain understandings of health and disease; the local practices by which doctors and patients negotiate meanings; and the way in which social movements and non-traditional “knowers” participate in the production of medical knowledge. Psychiatry has always aimed to peer deep into the human mind, daring to cast light on its darkest corners and untangle its thorniest knots, often invoking the latest medical science in doing so. But, as Owen Whooley’s sweeping new book tell us, the history of American psychiatry is really a record of ignorance. 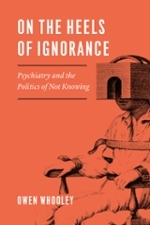 On the Heels of Ignorance begins with psychiatry’s formal inception in the 1840s and moves through two centuries of constant struggle simply to define and redefine mental illness, to say nothing of the best way to treat it. 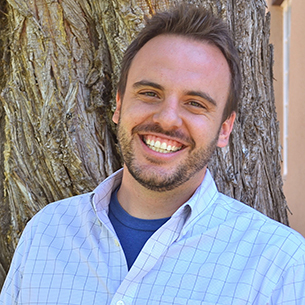 Whooley’s book is no antipsychiatric screed, however; instead, he reveals a field that has muddled through periodic reinventions and conflicting agendas of curiosity, compassion, and professional striving. On the Heels of Ignorance draws from intellectual history and the sociology of professions to portray an ongoing human effort to make sense of complex mental phenomena using an imperfect set of tools, with sometimes tragic results. Vomiting. Diarrhea. Dehydration. Death. Confusion. In 1832, the arrival of cholera in the United States created widespread panic throughout the country. For the rest of the century, epidemics swept through American cities and towns like wildfire, killing thousands. Physicians of all stripes offered conflicting answers to the cholera puzzle, ineffectively responding with opiates, bleeding, quarantines, and all manner of remedies, before the identity of the dreaded infection was consolidated under the germ theory of disease some sixty years later. These cholera outbreaks raised fundamental questions about medical knowledge and its legitimacy, giving fuel to alternative medical sects that used the confusion of the epidemic to challenge both medical orthodoxy and the authority of the still-new American Medical Association. 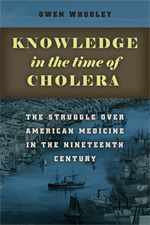 In Knowledge in the Time of Cholera, Owen Whooley tells us the story of those dark days, centering his narrative on rivalries between medical and homeopathic practitioners and bringing to life the battle to control public understanding of disease, professional power, and democratic governance in nineteenth-century America. Whooley, Owen. 2017. “Defining Mental Disorders,” in A Handbook for the Study of Mental Health, 3rd edition, edited by Teresa L. Scheid & Eric R. Wright. NY: Cambridge University Press, 131-176. Whooley, Owen. 2016. “Measuring Mental Disorders: The Failed Commensuration Project of DSM-5,” Social Science & Medicine, 166:33-40. Smith, Tyson and Owen Whooley. 2015. “Dropping the ‘Disorder' in PTSD,” Contexts Magazine, 14(4):38-43.